Over the years, my family has spent much time in Germany, either in Heidelberg for my father's research work or in northern Bavaria visiting relatives. Some of my favorite childhood memories are of the times I spent in Bavaria (Bayern), frolicking in the forest collecting berries and flowers and moss, basking in the love of my extended family, and helping out in my grandfather's bakery. Rising early thanks to jetlag, I'd stumble down to the Backstube and watch my Opa pull huge loaves of bread out of the oven with his bare hands, hear the rumble of the mixers, and be fed with fresh-baked rolls and pretzels. As I got older, I even got to participate in some of the work, and I believe my love for baking and cooking was born out of those experiences. 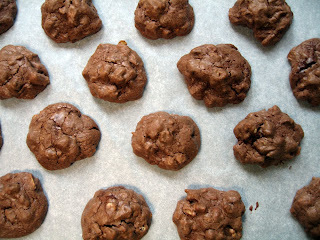 But the delightful chocolate walnut cookies I'm sharing with you today are a pressing reason to make a foray into gluten-free baking. They're so tasty, with a slightly more delicate consistency than regular cookies, and they've sent me into many a moment of bliss. These little chocolatey guys, full of nuggets of walnuts and more chocolate, first found me when I was wiped out and windblown from climbing at Little Egypt, just outside of Bishop, California. It had been a fun day of climbing with friends on freezing cold rock (there were icicles just a yard or so off of one of our routes, but man, think of what great friction that gave us! ), and as the sun set and the clouds rolled in, it was time to trek back to the car. The thing was, though, that after hiking out from the Frontier to Mussypotamia through deep sandy soil, scrambling along chossy ridges between yawning mountain drainages, and crawling on hands and knees through snow, I was a little more exhausted than I had expected to be that day. On the hike back to the car, the one thing that sustained me was the prospect of getting out of the cold wind and into that warm car. 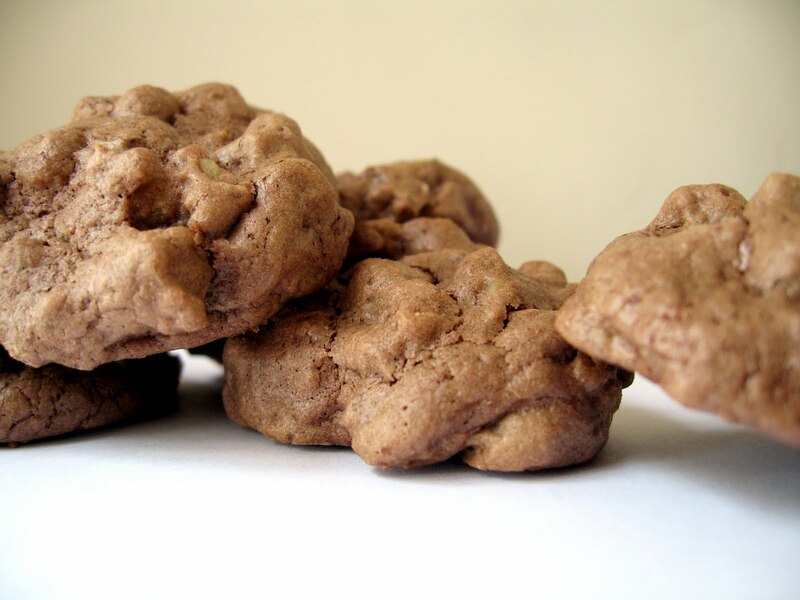 As I eased my weary body onto the soft seat, Mariah handed around a bag of these cookies. I took one and bit into it. Wow. I don't think anyone else in the car knew it, but that cookie catapulted me into sheer bliss. Warmth. Sitting down. And one of these cookies?! How much better could life be at that moment? I had to get the recipe. Mariah, one of the most beautiful people I know--inside and out--kindly shared it with me. This recipe comes originally from Sanaa Abourezk's book Gluten Free Mediterranean, but has been adapted as a friend passed it on to Mariah, who then in turn gave it to me. I'm not sure what the original name is, but I'll call them Gluten-free Chocolate Walnut Cookies, and now I pass this recipe on to you! 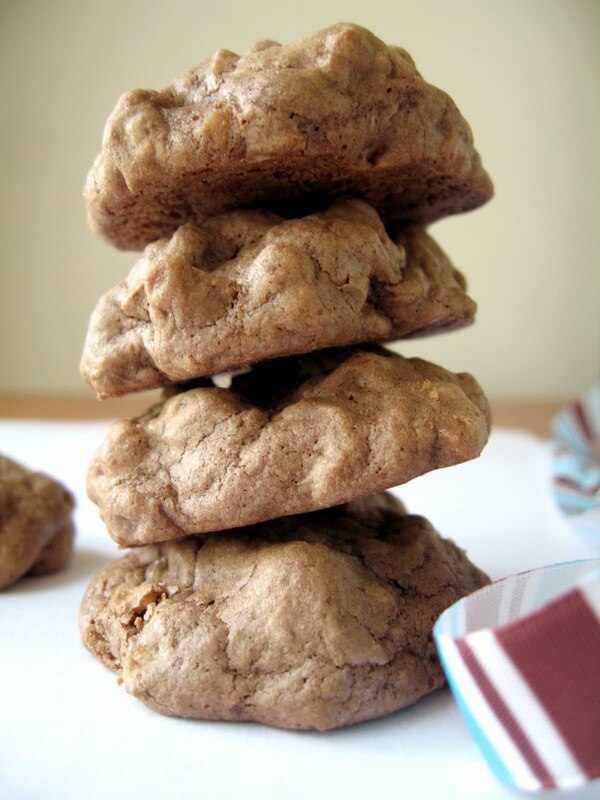 They come to you with much love, and as they're a delicious and easy entry into the world of gluten-free baking, I hope you have a chance to make them soon and enjoy them along with us. Since getting back from that climbing trip, I finally tracked down tapioca flour and sorghum flower and I've been loving nibbling on these cookies...they're just as good as I remember them being on that blustery day in Bishop. Microwave half of the chocolate chips plus 1 tablespoon butter in a bowl for 1 minute. Stir and heat for another minute or until chocolate is completely melted. Place brown sugar, remaining 3 tablespoons of butter, and melted chocolate in the bowl of a large stand mixer and beat together until smooth. Add the egg and vanilla extract and continue to beat until creamy. In another bowl, stir together the flours, baking powder, salt, walnuts, and remaining chocolate chips. Add to the creamed mixture and mix until well combined. Scoop out single tablespoons of the dough and place 2 inches apart onto a cookie sheet lined with parchment paper. Bake 12 minutes at 350 F in a pre-heated oven. Remove from the oven and cool completely on pan. Carefully peel cookies from parchment paper once they have cooled. * Santa Barbara locals, you can find the tapioca and sorghum flours at Lassen's Health Foods in Goleta. Look for the Bob's Red Mill brand! Bishop! I always stop there on my way to Mammoth. Are you in that area often? Here's a few of my favorite spots there... Schat's (that's a given), Jack's Restaurant, and Petite Pantry. If you live in LA another great stop along the way is Indian Wells Brewing Company. I also heard Still Life Cafe in Independence is good but I haven't stopped there yet. Thanks for sharing the recipe. 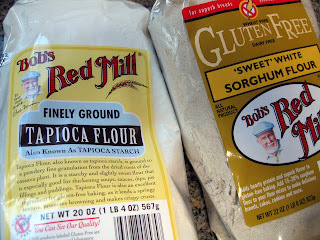 I don't know much about gluten free diets yet but I'm totally open to trying out some gluten free recipes. Erica, this blog rocks. Seriously. Oh, and thanks for the beautiful post on my stew. I can't take any credit for the wonder of cast-iron. Oh, and I must plug these cookies. They are exceptionally good. I should know: I ate most of them. And Andy, thanks for the kind words! Looking forward to more of your great cast-iron creations.